23-5 –Miles Davis Baby, Won't You Please Come Home? 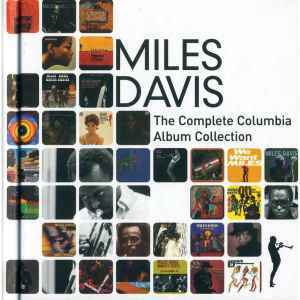 68-3 –Miles Davis Code M.D. This boxset contains 52 Albums on 70 CDs (34 single CD albums and 18 double CD albums), each album in a separate Mini-LP-sleeve, and one concert on DVD. 1-1 "Rifftide" is credited in the book to Thelonious Monk but was composed by Coleman Hawkins as it says the Mini-Lp sleeve. In 1954 Thelonious Monk composed "Hackensack" inspired by "Rifftide", but this was six years after this concert.